Jake Gauthier demonstrates how to throw a frisbee with lots of spin. 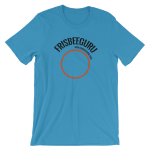 In Freestyle Frisbee, one of the main tricks is to spin the frisbee on your fingernail. So, you want to throw with as much spin as you can so you or your partner can do as many tricks as possible. This particular throw is a backhand, which is one of the most common frisbee throws. So, starting with a regular back hand, you would grip the disc extra tight, then wind your arm behind your leg. Finally, unwind to throw. As you release, pull back your arm towards your leg. It’s a little like snapping a towel. It’s very important to put as much spin as possible when doing Frisbee freestyle. Learn how to throw with spin in freestyle Frisbee from a world champion in this free sports video series.